The brand behind some of the best-selling skincare products at Sephora is back at it again with a new product duo that's about to be a game changer for those with acne-prone, oily skin. 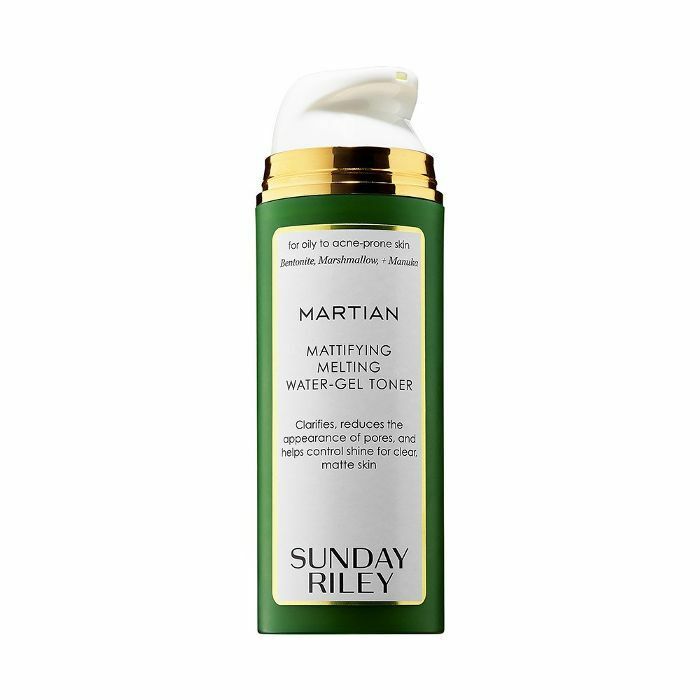 We're talking about Sunday Riley and the new Martian Mattifying Melting Water Gel Toner ($55) and U.F.O. Ultra Clarifying Face Oil ($80), which just hit stores this week. The formulas of the extraterrestrial-themed products may be bright green, but they're anything but kitschy. 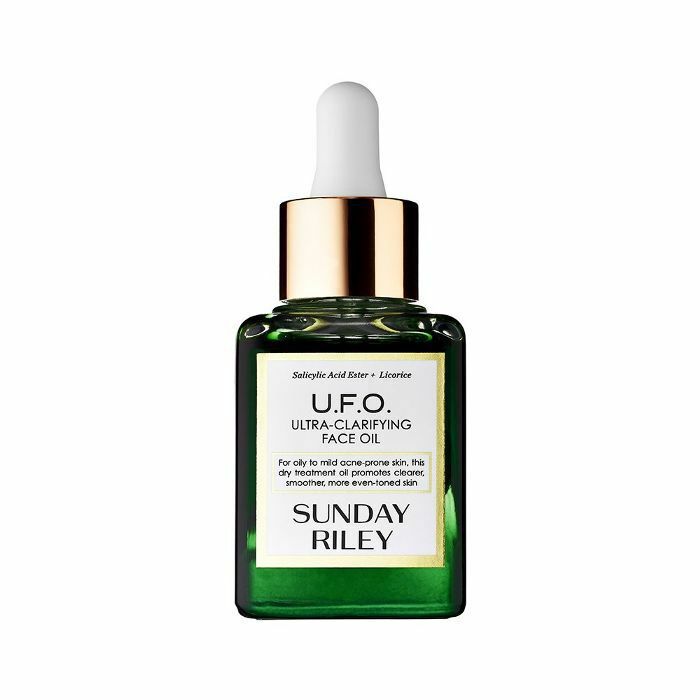 Sunday Riley used an impressive blend of actives, from the newly popular marshmallow extract to an anti-acne staple, salicylic acid. The transforming toner starts off as a neon green gel that quickly dissolves into water as you apply it on the skin using your fingers or a cotton pad. It boasts cucumber, green tea, and witch hazel extracts for toning; bentonite clay to help decongest clogged pores and mattify skin; marshmallow extract to reduce redness and soothe skin; and manuka, whose antibacterial properties clarify skin. When you follow this up with the powerful oil, you get the dream team of acne-fighting skincare—seriously. The marquee ingredient is 1.5 percent salicylic acid to clear pores to prevent acne and blackheads, but the supporting actives are just as important. Licorice root and hexylresorcinol naturally help brighten dark spots, while a blend of tea-tree and black-cumin-seed oil helps keep clear skin blemish-free. So if you're thinking of passing up this power couple because you're afraid of oils, think again, because Sunday Riley oils are known for sinking into the skin within seconds for fast results, leaving zero traces of oils on the surface of the skin. We're already giving these out-of-this-world products two thumbs up after just a few uses, and they're definitely ones to try next time you're in the market for a new anti-acne regimen. Shop the new Sunday Riley products we already love below. Are you looking forward to trying these new Sunday Riley products? Tell us in the comments!